The MiMo2+ from Fortrezz doubles the capacity of the MIMOLite by offering two separate signal inputs and two separate relay outputs. 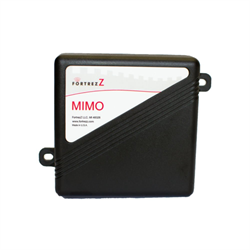 The MiMo2+ is Zwave Plus enabled and backwards compatible to standard Zwave for compatibility with a wide array of Zwave controllers. 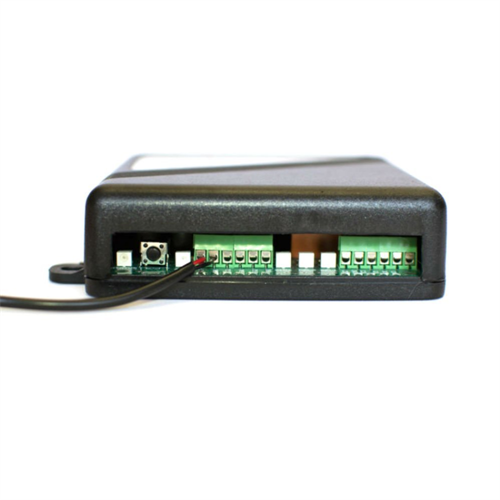 Connect a wide array of sensors, buttons or switches to the inputs and control all kinds of devices using the relays. MiMo2 works with Zwave certified controllers such as SmartThings, Zipato/Zipatile. It cannot be used with alarm systems as they do not have full Zwave support. Connect wired sensors including temperature probes, soil moisture probes, float switches, reed switches, door/window contacts, garage door sensors, water level sensors. Inputs may be digital or analog up to 16VDC or simple dry contact closure. Relay outputs provide a contact closure, supporting up to 24VDC, 10A.